Simple good habits can save you power without being too inconvenient. Ask for documents in electronic format e.g. Statements, Annual reports etc. Much of the power consumption of a computer is dependant on the processor chosen and then the chipset design that goes with it. Laptops are usually of a more energy efficient design to accommodate working on batteries. Laptop power supplies have a lower consumption rate with ratings of 60 to 90 Watts being common. Desktops will likely usually have 250 to 500 Watt power supplies although 1000 Watt supplies are available. The power supply rating relates to output wattage while the input wattage will be higher. If you have a desktop add the power consumption of the monitor which may add 30 to 120 Watts, remembering LCD uses less power than a CRT screen. Thankfully modern processors are consuming less energy for their productive output and new small form factor desktops are tending to be designed with efficient processors and power supplies. Suggestions: Apply computer power management to all computers. For laptops add power management for battery mode. Choose Energy Star 5 computers with 80 Plus (>80% efficiency) power supplies. A laptop connected to mains power avoids extra power losses involved with recharging batteries. Thin Clients are devices that connect to a server and run a virtual computing session, alleviating the need for a desktop computer on each desk. 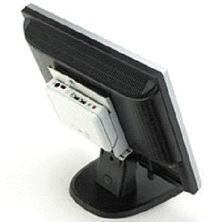 At the thin client it receives screen information from a server and sends keyboard and mouse changes. A new feature of thin clients is the inclusion of decent screen resolution (1600 x 1200), multimedia performance and VOIP capabilities. A thin client uses about 10 Watts. Add approximately 30 Watts for a LCD screen when in use, with 1 watt for standby. A thin client can operate Linux, Windows 7 / 8 / 10 using the same hardware thus avoiding desktop upgrade cycles. The average bandwidth is 300 kb /second. A modern server processor can support 100 thin clients. A blade server enclosure could support 100's of thin client users. Your memory usage is centralised and common memory blocks are not duplicated, so you'll only need 512 kB per Windows PC for example. The overall consumption expected for 20 users changes from 4300 Watts with desktops to 1840 Watts with thin clients and a server. Auxiliary benefits are less heat; no moving parts to break; light weight as each thin client weighs around 500 grams; compact enough to clip to back of an LCD screen; easy to deploy even remotely; just plug it in; better security as data held in one place only; the USB can be disabled; starts quickly in less than 10 seconds; less network bandwidth which is important for multiple site configurations; and it is easy to update the Standard Operating Environment. Additional savings can be made with some thin clients capable of running a VOIP soft phone which means you won't need a regular phone on the desk; no phone cabling needed to each desk; save half the communication cabling needed for each desk; and save 5-10 watts for every regular phone not needed. A thin client session can be run from a desktop or laptop computer independently from their local computer operations as VPN connections and Internet browser based access can be achieved. Suggestions: Useful for computer lab rooms, libraries and areas where common applications are used by many. A virtual computer (virtual machine or VM) is a representation of a full computer with hardware the configuration held within two files. Many virtual computers can be run on a single physical computer simultaneously with ratios of 10:1 possible. There are limitations on how many VM's can be successfully run concurrently on a computer and there is no redundancy in case of hardware failure. Having multiple physical computers connected to a single Storage Area Network (SAN) which holds the VMs files solves these limitations. The SAN can be upgraded as needed without going offline. VM's can be associated between physical computers while active. This is useful for maintenance of a server, unplanned outages of a server or to move VMs to less servers and shutting down a server to save power. Some of these functions can be programmed to occur automatically. Each VM deployed saves power, space, cooling, maintenance and time. Data centres can achieve more within their existing fixed power and space restrictions. SAN can connect to servers with 400 MB/second bandwidth using fibre and some models can hold up to 900 TB. SAN 176mm high rack space enclosures can hold 7.5 TB each (7500 GB). Between power consumption, cooling needs and UPS overhead, estimate $1000 saved per year for every server VM deployed. Suggestions: Consider VM for servers running 1-15% utilisation average, consider consolidating old server functions into fewer modern servers or blades. 80 Plus is a standard for computer power supplies than have a minimum 80% efficiency at 20%, 50% and 100% load and over 0.9 power factor. Standards above plain 80 Plus is Bronze, Silver and Gold over 90% efficient. A saving in power in the order of 28% is possible by using an 80 Plus standard power supply. You will save approximately 30% of the cooling costs associated with the computer. Some maintenance costs are reduced due to there being less heat in the computer. The extra investment for an 80 Plus power supply is returned in less than 1 year. There are over 700 power supplies than pass the 80 Plus standard. See reference links for an online calculator and suppliers. Add standby consumption for non operational periods. 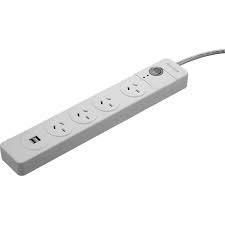 Use power saved value from first table. Multiple results by the number of computers in the workplace. Suggestions: Look for 80 Plus logo for all new desktop / server computer purchases. Consider the expected 1 to 30 watts of power supply consumption in standby mode. Servers with redundant power supplies have quite high standby power consumption in the order of 10 to 200 watts. Energy Star 5 is a standard relating to computers relate to the maximum power consumption for various activities. Governments are pushing for this to be the standard for new computer hardware. Their requirements usually include an 80 Plus power supply with computer power management enabled. Windows Server 2012 and Windows 10 have more power management options available for control. Computers with 82% efficient at 20% load. 85% efficient at 50% load. Power factor at least 0.90 at 50% load. New formulas available to estimate yearly power consumption. Suggestions: Look for computers with Energy Star 5 labels and buy them as a preference. Turn on existing computers power management options. The Voice on Internet Protocol allows you to implement telephony over your computer network. Calls that run over your own network are free of telephony carrier charges. One IP based PABX can work 1000's of IP extensions across an LAN and WAN infrastructure to the many connected locations. IP extensions can also be operated with 2 port network switches to support both the phone and the computer therefore saves on cabling. Thin clients can be used for both telephony and computing in the one device. Some telephony trunk capacity can be replaced by IP trunks. VOIP can be performed by computers representing a phone using software thereby avoiding having a separate telephone and another benefit is that your extension can move with your computer. Using a computer soft phone, the Internet and a VPN connection to the office allows your work extension to be used from almost any location. VOIP can also be applied using a smart phone with wireless networking allowing you to have your work extension in your pocket wherever wireless networking is present. VOIP can allow your computer network to also perform telephony, so branch offices do not need separate a phone system which will save you power and money. Suggestions: See if VOIP suits you before adding trunks or moving locations or if long distance phone charges are too high. NBN also uses VOIP. How can your NBN data connection help with telephony costs? Video conferencing is now possible across the Internet free of charge, excluding your Internet bandwidth charges. USB web camera will cost less than $50 and the software can be downloaded for free. 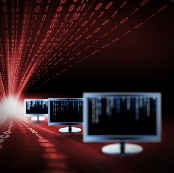 384 kbps or better Internet bandwidth both ways with dual core processors will allow efficient video conferencing. Other features possible include sharing a whiteboard, sharing files, text chat and logs of activity. This technology can save on meeting costs in terms of flights, accommodation, airport transfers and time. You can perform more valuable work face to face without leaving your desk. Video conferencing is also possible using a computer VOIP soft phone at work. This technology basically connects a hard disk to your computer network to allow full time shared access for your network users. 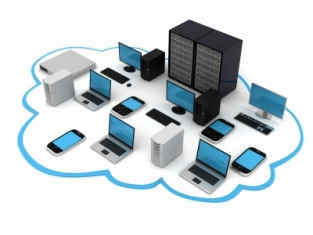 This technology will suit small to medium networks where a dedicated server may not be needed. NAS can also include feature file sharing, backup, web server, database server, print server and multimedia server functions. The advantage of NAS devices is that it can run on far less power than a dedicated server, for example it uses 17 watts in operation and 6 watts in sleep mode. Other functions possible include remote access across the Internet to your NAS this is useful for connecting to home storage from any location. NAS devices usually come in 1, 2, 4 drive enclosures. RAID configurations are possible for redundancy. 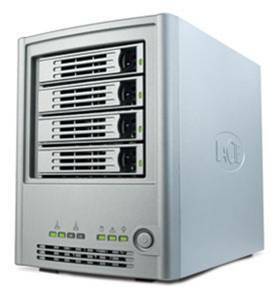 NAS devices can replicate from each other for backup purposes. Not adding another server dedicated server on your network may save you $1000 per year in electricity. Suggestions: Consider NAS for department storage, special projects, Virtual Machine development, and centralised backups. For larger scenarios consider SAN storage area network. There is a class of processors that use much less power than regular laptops. They can be found in the new generation of ultra light laptops, tablets, smart phones and dedicated devices such as digital set top boxes. Processors in this class include the Intel Atom (4 watts), Via Eden (2.5 to 7 watts) and the ARM (< 0.1 watt) with is found in tablets, media players, consumer electronics and smart phones. If you have a dedicated simple computing task, could one of these low power processors achieve your results? You'll find the ARM processor in Chromebooks which are able to achieve a 12 hour work day on batteries only. This processor varies the internal clock rate to suit the demand many times a second which saves power. Suggestions: Consider future requirements versus processors available and consider choosing a new generation low powered processor. Enable computer power management. Turn off wireless networking when not required. A simple way to control the power of the many devices connected to a computer is to use a USB controlled power board. Connect all the computer peripherals such as monitor, speakers, scanner, external hard drive and printer to the power board. Connect a USB lead from the power board to the computer. When the computer powers up, 5 volts is on the USB lead which then closes a relay to power up the USB power board. Once connected it takes care of itself. 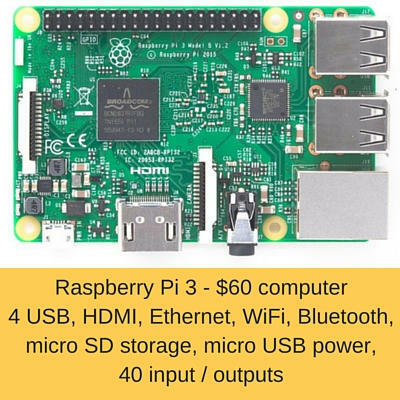 The power board will cost around $60 and the USB lead about $5. You save on standby loads of all the peripherals. The saving could be substantial if CRT monitors, laser printers and amplifiers are included. Older computers will have most of the power management features turned off by default. Motherboard default specifications are improving all the time especially to comply with Energy Star 5. The BIOS features need to work with the operating system computer power management system being enabled to achieve good power savings. Compare the power usage of a desktop or laptop running at full power all day relative to a few watts in sleep mode. In the case of networked computers power management can be defined in group policies with some software help some of which are listed in the references. Specialised computer power management software can save approximately 38% of computing electricity by using advanced features such as to sleep or shut down computers remotely as required. Suggestions: Review your BIOS manual to see what energy saving adjustments can be made. Buy Energy Star 5 computers as most adjustments will be already enabled. Turn on computer power management options.